Foundation for Baltimore County Public Library is proud to partner with corporate sponsors, local eateries and community businesses for Taste of the Town to ensure ongoing support of the various programs which help keep Baltimore County Public Library a thriving and vital part of the community. There are four types of sponsorships available: Corporate Sponsors, Restaurant Sponsors, Media Sponsors, Silent Auction Donations. With a Taste of the Town sponsorship, you are reaching a high-income, clearly defined audience. You are connecting with the community in an event that will be talked about and remembered. 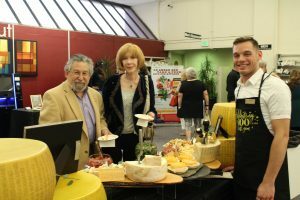 Taste of the Town is an ideal tool to complement the marketing, public relations and community service goals of your company. Foundation for Baltimore County Public Library wants to make sure you receive the most recognition possible for your sponsorship. We will do our best to leverage your sponsorship in a manner that enhances your company’s brand, reputation, image and bottom-line results. We have the experience and knowledge necessary to do the job right. You can rest assured that this year’s Taste of the Town will be well organized, publicized, attended and worth your sponsorship investment. Last year, sponsors received mention in print, on the radio and on WBAL TV. A sponsorship is an excellent way to build brand awareness, show your support for the community and participate in a worthy cause. All donations are tax deductible. The goal of Taste of the Town is not only to throw a great party, but to raise money that allows the Foundation to provide additional resources to enrich the Library’s commitment to empower the citizens of Baltimore County to explore, learn, create and connect. Increase awareness of your company. 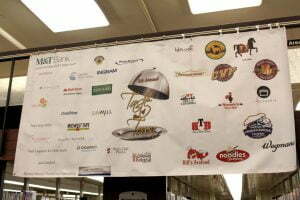 Become a sponsor of Taste of the Town. All levels of sponsorship receive promotion at event via sponsor wall and video screens; acknowledgment on our website, in Be All In, the library's monthly enewsletter distributed to over 200,000 people, and Foundation Focus; promotion via social media (over 20,000 followers); and inclusion in web-based marketing. Foundation for Baltimore County Public Library will consider an in-kind donation for any level of sponsorship. A sponsorship fee may be paid by providing goods and services that are budget-relieving to the Foundation. These opportunities are reviews on a case-by-case basis. Foundation for Baltimore County Public Library also accepts donations for our silent auction. To become a corporate sponsor, fill out our secure online sponsorship form or download the Corporate Sponsorship Form to mail in. Taste of the Town is a tasting event, which means none of it would be possible without our Restaurant Sponsors! Logo on all printed materials. Logo placement at all Baltimore County Public Library branches in March and April 2019. Logo on sponsor wall at the event. Logo on Foundation website home page for at six months. Logo and link on Foundation website event page. Promotion via social media (over 20,000 followers). Name and link in Be All In, the library’s monthly e-newsletter, distributed to over 200,000 people via email through April 2019 and Foundation Focus, the Foundation's e-newsletter. A minimum of two (2) food items guaranteed to serve 400 people, or enough food to last for the entire length of the event (4 hours). Confirmed menu, table requirements and other needs by March 1, 2019. Staff for the evening of the event, to arrive no later than 6 p.m. and remain until end of the event. Plates, utensils and napkins for service. Promotion on your social media/in-store promotion (Foundation will provide signage). PLEASE NOTE: Due to the lack of proper ventilation in the building, no food may be prepared on site via frying or sautéing. To become a featured restaurant, download the Restaurant Sponsorship Form. Taste of the Town includes a silent auction full of interesting and eclectic items and experiences. The silent auction can only be possible through contributions from generous community members like you. 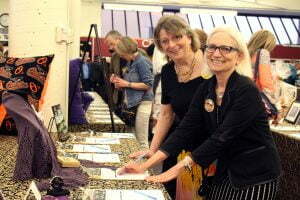 Silent auction donations can include merchandise, art, gift certificates, experiences and more. At the event itself, you or your company will be recognized at the auction tables. Additionally, you will be recognized on the Foundation’s Taste of the Town website event page and in the Foundation's annual report. Donations are tax deductible. To make a donation, download the Silent Auction Donation Form. If you are interested in becoming a media sponsor for Taste of the Town, please contact Erica Palmisano.